In what is being viewed as a tragedy of minuscule proportions tonight, The Rev. Brendan Powell Smith has been shot down in a hail of bullets. 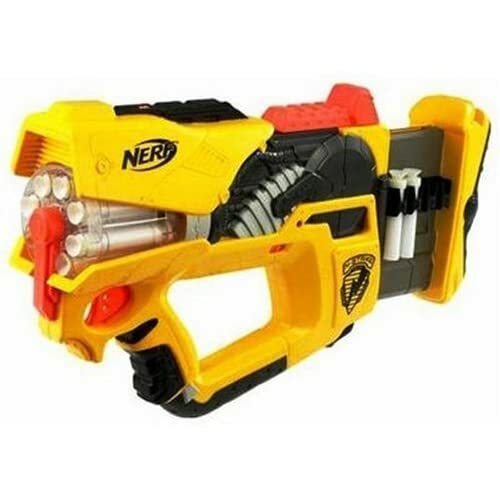 The incident occurred earlier this evening at approximately 7:32 PM (PST) when a deranged fan of The Brick Testament fired a fully loaded N-Strike Firefly REV-8 at Smith from close range, hitting him multiple times in the upper torso and neck. A photo (inset) snapped by longtime girlfriend Lila Tene just milliseconds before the impact captures a look of resigned acceptance on Smith’s face. America’s favorite vomitous cat is back up to his old tricks in Barfield Loses His Lunch. Acclaimed cartoonist Dim Javis has enthralled us for decades now with the lighthearted hijinks of that lovable, churlish feline prone to extreme gastrointestinal distress. This new collection, featuring over sixty full-color daily comics, is certain to leave you doubled-over on the floor with its gut-busting, bellyaching, belch-inducing brand of barf-out-loud humor. Over the past several months images from The Brick Testament have been featured on television on CBS news Sunday Morning and The History Channel International’s The Naked Archaeologist. Rev. Smith has been a radio guest on Winnipeg, Canada’s CJOB program GodTalk and Radio Adelaide’s Breakfast with Peter Godfrey. Articles on The Brick Testament have appeared in print in the Mexican and the Bulgarian editions of Maxim magazine, the French language edition of The Jerusalem Post, Polish internet newspaper Wiadomosci24, and Brick Testament images graced the cover of Taiwanese design magazine Ppaper, as well as German magazine Der Kranke Bote. Acting at the behest of children’s advocate lobbying groups, Congress voted today to ban the institution of parenthood after recent studies revealed that 78.5% of all child abuse and sexual abuse is perpetrated by a parent of the victim. “For years now we have misguidedly sought to protect children from strangers lurking on the internet or wandering their neighborhoods,” said Rep. F. James Sensenbrenner (R-Wisconsin), “but now that the facts are in, we must act clearly and decisively to protect children from the true perpetrators of these heinous crimes.” Any adults caught parenting children in the US are now subject to a $100,000 fine and up to eighteen years in prison.